ECONOMIC DRIVER: Bundaberg Fruit & Vegetable Growers Association's Bree Grima, Kylie Jackson and Member for Burnett Stephen Bennett at a former Bundaberg Region Promotion Night. 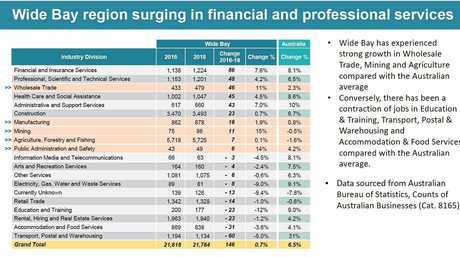 THERE has been a slight growth in agriculture, forestry and fishing services in the Wide Bay according to Australian Bureau of Statistics data. In 2016 there were 5718 businesses and in 2018 there were 5725. This was a growth of seven (or 0.1 per cent) in services - the national average was minus 1.6 per cent. Previously it's been said the primary economic driver of the commercial hubs of Bundaberg, Childers and Gin Gin is agriculture. 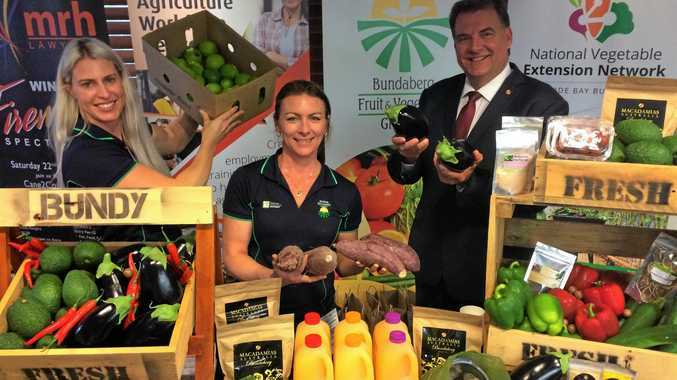 Bundaberg Fruit and Vegetable Growers managing director Bree Grima said agriculture and more specifically horticulture were major drivers of economic stimulus due in part to the significant input costs for producers. "Every time a crop is planted, grown or harvested there is significant commercial services required from the community," Ms Grima said. "These support services range from agronomic advice, the purchase of seedling or plant stock, fertiliser and other inputs, irrigation and machinery services through to accessing labour, quality assurance programs, packaging and finally transport." During the past six to 10 years there have been significant changes to the horticultural landscape in the region, Ms Grima said. "There has been a lot of sugarcane and small cropped land converted to tree crops, specifically macadamias," she said. 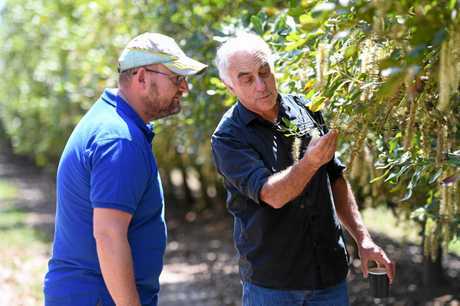 "This region is now the largest growing region in Australia for macadamias providing over 50 per cent of annual production, also of sweet potatoes providing over 75 per cent of production and is the largest passionfruit growing region." 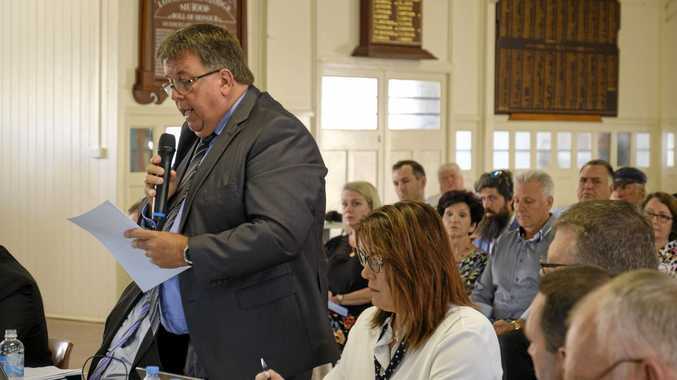 She said the Bundaberg region is also part of the central Queensland production area for avocado which is the single largest growing region in Australia with more than 2400ha under avocado trees. "The region has in the past been well known as a tomato growing region and this has reduced over time," Ms Grima said. "With increased plantings under protected cropping structures in southern states there has been a reduction in field grown varieties despite these crops potentially providing a longer shelf life. "The region still significantly contributes to overall tomato production and being a high demand commodity, they will remain a staple commodity for consumers." Ms Grima said macadamia and avocado plantings had increased significantly in past years. She said increased foreign investment options and corporate owned entities had helped this expansion along with grower confidence in these two industries. "These two commodity groups have achieved a tight network of growers which work together for the benefit of the industry," she said. Looking at the growth numbers, Ms Grima said horticulture was Australia's second largest rural production industry after wheat and the range of skill sets required to service this industry was expanding. "There has been an increase in the requirement of technology driven skills as growers increase the number automated systems throughout their business," she said. 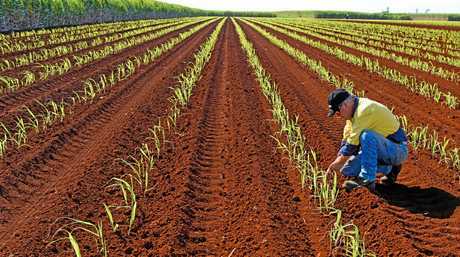 The Department of Jobs and Small Business projections to 2023 predict a 7.9 per cent and 8.9 per cent employment growth in the vegetable and fruit and tree nut growing industries respectively, as well as predicted growth of 7.1 per cent in agriculture support services. A predicted growth of 2.0 per cent in the food product manufacturing sector was also expected and the opportunities for the region in this sector are excellent as producers look to expand their capabilities and access markets not currently available for the fresh sector by value-adding commodities. Ms Grima said due to the seasonality of the horticulture industry there was a heavy reliance on itinerant workers and the associated visa programs that support work in regional areas. The industry also uses the seasonal worker program where the same workers can return each year to the same farm, this works well for many producers as they're obtaining a committed workforce that does not require retraining each year. While the preference is to employ locals, the seasonality of the industry presents highs and lows in workforce requirements and understandably many local workers seek reliable and consistent hours.